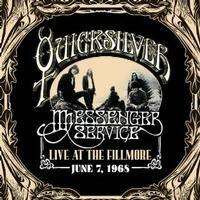 Quicksilver Messenger Service has always been a legendary 1960s band. This 1968 live recording sheds some evidence on why. These guys obviously put in a great show. It’s the type of stuff you’d expect from a psychedelic jam band with definite blues influences of the time, but it’s also quite strong. The recording itself isn’t great, but that’s to be expected for the time period. Actually, when you take that into consideration, it’s really quite good. A cool 1960s psychedelic rock sound is heard on this tune. 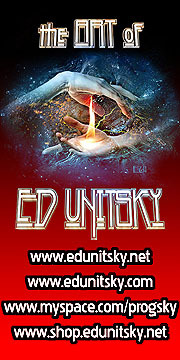 It’s an energetic and hard rocking piece that works quite well. The recording suffers just a bit in terms of sound quality, but it’s certainly not distracting at all. There are some cool hooks in this piece and song great shifts and changes. There is one section where there is an abrupt punch in – like an amp that wasn’t turned on, suddenly kicks in. That’s a bit annoying. 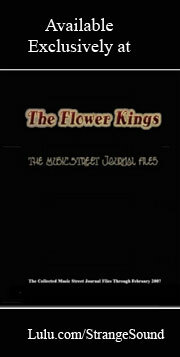 This slower, bluesy number is a bit like The Doors, but more rock and roll than that. There’s a cool psychedelic rock jam later in the piece. There is also a cool bass guitar solo later on in this thing. Here we get a classy psychedelic rocker with some classic hooks and shifts and changes. This old school (even at the time) blues rocker gets an extended treatment here. The smoking hot instrumental work later in the track is pretty awesome. They take it through some changes and it gets some cool psychedelic elements in the mix as it continues. They bring it back home for a reprise of the main song structure later on to carry it through to the closing section. Emotional and powerful, this is also slower. It’s a bit like The Allman Brothers in some ways. They take this through some changes and it’s quite a powerful tune. Mellower and jazzy, this one is seriously marred by some off key vocals. It’s a bit hard for me to get through. Fortunately it’s short and has some good instrumental work. Percussion leads this one off and the cut builds out from there in some killer psychedelic rocking modes. There’s a real chugging blues rock sound to this thing. It’s very classic in nature. It reminds me a lot of “Not Fade Away” in terms of the music. There’s a different little jam that takes over near the end. This psychedelic jam almost seems to come right out of the previous number. This is a smoking hot rocker with a lot of crazy stuff in it. Here’s a killer rocker that the Doors have done. It’s a real killer rocking tune and it works great. Here we get another extended jam. Of a course, a big chunk of the length of this thing is a drum solo. All in all, it’s an energetic instrumental that goes through a number of changes. Here’s another classic blues rocker. They deliver a pretty smoking rendition of this tune. The killer psychedelic jam that takes off from there is classy and classic. When it comes back into the song proper it retains some of that psychedelic vibe. They drop it to a little stripped down psychedelic bit at the end, too. This extended jam is classic psychedelia and it’s quite cool.